April is Autism Awareness Month. Since in my own life, I’ve been fortunate enough to work with some kids and adults with Autism, I’ve created some pretty amazing memories. These guys are truly a treasure. And their intelligence always blows me away. There are different levels of autism. Some are mild, and some may be severe cases. I can promise you this much, these guys have always been able to bring a smile to my face. They have a heart of gold, and they just need their own way of dealing with things. Maybe you’ve been as lucky as me and have encountered somebody with autism. Maybe it’s your family member, a friend, or an acquaintance. If you haven’t, I would recommend you volunteer at places that serve kids or adults with autism. I promise you, not only will you learn from them, but they will make your heart smile. 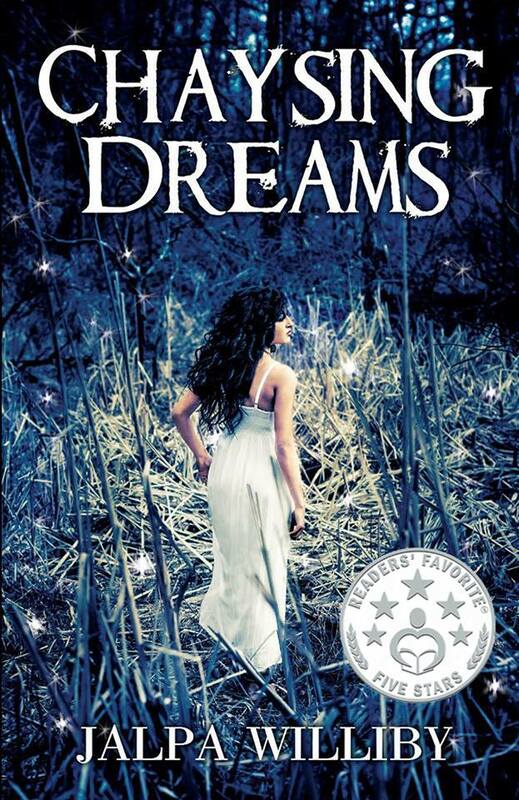 In Chaysing Dreams, Tess, the main character volunteers periodically at a place called The Angels, which serves kids with Autism. Here’s a little excerpt from the book when Tess is only sixteen and enters the facility. I sign into the volunteer sign-in book at the front desk. “Good to see you again, Tess. Welcome back,” says Tina, who works at the front desk. “Thanks, Tina! I’m looking forward to hanging out with my buddies,” I say, smiling back at her. I begin heading back toward the residential sites. “Tess!” I hear Tony yelling as I enter one of the sites. Tony comes running to me with a big smile. He’s eighteen and has autism. He doesn’t make eye contact, clasps his hands together, and starts rocking. “Hi Tony, I miss you so much!” I gently pat his back, and he gives me a shy smile. “What are we going to do today? Did you drive? Where’s your car? What kind of car do you drive? You look really pretty today. I like your hair.” Tony shoots off rapid-fire questions. “Whoa, slow down, Tony!” I say, laughing. “No, I didn’t drive, but I’ll be getting my license soon! I’m sixteen today!” I’m excited to share my special day. “Tess, it’s your birthday today?” Jennifer, the nurse, asks me. I nod, smiling at her. Amy comes running to me. “It’s Tess’s birthday, it’s Tess’s birthday. I want cake!” Amy starts yelling and spinning. Amy is fourteen, and she is adorable. She gets over stimulated easily though, so I have to be careful not to stress her out. It works like magic. All of the residents are now focused on the game. We set up the indoor basketball net and play HORSE. It’s so fun to laugh and run around with them. After playing with them for half an hour, I decide to visit the residents in the other rooms. So, I take Amy with me for a walk. I figure she probably needs to escape for a bit, and she can visit her friends in the other rooms as well. After notifying Jennifer, Amy and I head out. The facility is fairly large, so it is a pretty good walk to visit all of the ten rooms. As we’re walking down the hall, suddenly, Amy starts running away from me. “Amy, wait for me! Don’t go anywhere!” I yell. I’m fearful that I won’t know where she might end up if she keeps running. She leaves me no choice but to run after her. I remember her history of hitting other residents when fueled by too much excitement, and I cringe. “Amy, stop!” I yell. She disappears into the multipurpose room. I run in after her, determined to use my stern voice on her. I don’t even get the opportunity. As I stumble in, I hear music. I see Amy standing there, mesmerized, and slowly swaying in the corner to the sound of the music. I also notice there are at least thirty other kids in there, some sitting, and some standing. All of the kids are quiet and looking very peaceful. I can’t believe it. Usually, when too many of the kids get together in a room, they become excited or agitated, and it’s harder to control them due to their disability. To my surprise, nobody is making a sound. All I hear is the music. As I scan the room, I find the source. He’s sitting on a folding chair in the middle of the multipurpose room. He’s playing his acoustic guitar, and I hear him singing. Posted on April 30, 2014, in Uncategorized and tagged Autism, Autism awareness month, Chaysing Dreams, novel. Bookmark the permalink. Leave a comment.